As adoption grows and the need for cryptocurrencies increase, more and more cryptocurrency exchanges are adding up new coins/tokens to be traded on their platform. IceCube-X, a South African based cryptocurrency exchange, and trading platform that has been providing customers with a safe and secure way to purchase bitcoin since 2013. In a statement released by the company, it was announced that ICE³X exchange was going to add up the Monero coin to the list of cryptocurrencies already being traded on the site. “We think Monero is currently the most suitable coin to add to the exchange, because it is fundamentally different from bitcoin, has a real-world use case and somehow managed to stay more true to the “original idea” around which Bitcoin was created. The exchange chose Monero out of over a thousand because though most new coins have no real USP, the Monero cryptocurrency seems to be different. Monero also implements a unique architecture based on the CryptoNode protocol. It also has a great community which has contributed to its widespread adoption. Aside those, most cryptocurrencies which include bitcoin and ethereum have a transparent blockchain which transactions can be linked to a real-world identity. Monero is nothing like that; the coin uses cryptography to hide sending and receiving addresses alongside transaction amounts. As at the time of writing, users of the cryptocurrency exchange, XMR/BTC, are now able to make Monero deposits and withdrawals to and from their ICE³X accounts. Also, it’s also possible to trade the XMR/BTC pair. The XMR/ZAR won’t go live until the 1st of May, 2018. This development is yet another milestone reached for the African community. The idea of a decentralized way of making transactions already sounds nice to a lot of Africans, also, cryptocurrencies have changed the lives of so many. 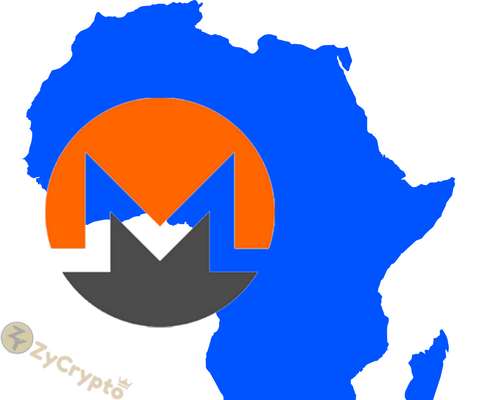 With more exchanges adding up support for various cryptocurrencies, we can expect more Africans getting into the crypto-sphere shortly, and also to give those who are already into cryptocurrencies more options to trade/exchange.